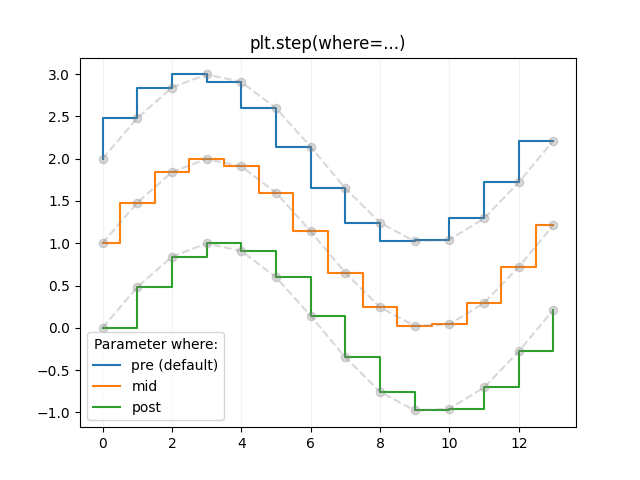 This example demonstrates the use of pyplot.step for piece-wise constant curves. In particular, it illustrates the effect of the parameter where on the step position. The circular markers created with pyplot.plot show the actual data positions so that it's easier to see the effect of where.